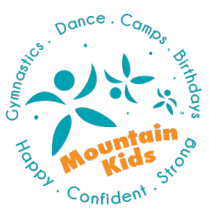 Mountain Contemporary Dance Arts (MCDA) in Louisville, CO offers a wide range of fun and relaxed dance classes for adults of all levels! Class punch cards and drop in classes are available for all of our adult classes. Ballet Classes: Our ballet curriculum is based on contemporary technique training with a focus on healthy anatomical development. Alignment, strength, focus and musicality will be taught at all levels. Jazz: A theatrical style, jazz uses stylized footwork, leaps and turns in rhythmic combinations. More lyrical and percussive styles of movement and pop music will be included in this class. Tap Dance: A style of dance that uses footwork and sound to create percussive relationships with music. A variety of tap styles, including hoofing and “Broadway” styles of tap will be introduced in the tap coursework. Ballet for Babywearers is a ballet class for any level of dance experience and anyone interested in class is encouraged to try it! This is a 1 hour and 15 minute long dance class designed for caregivers to be able to enjoy a ballet class with their baby. In this class we will focus on strength, alignment, musicality, and core stability through proper technique at the barre and modified center exercises, all while enhancing our bond with baby through babywearing. Comfortable athletic wear, yoga or dance attire with bare feet, socks or ballet slippers (whatever the dancer is most comfortable in). Carriers/carries that allow for a tummy to tummy hold or a back carry are required, neither cradle hold nor a forward facing carry is recommended for this class. Contemporary / Modern Dance: A technique based in discovery and individuality, contemporary/modern focuses on development through the movement fundamentals of time, space and energy. Partnering, floor work, improvisation and composition are included in the class. Hip Hop: This high energy, social dance technique class includes rhythmic footwork, isolations, funk styles and fun choreography. Rhythm, community building and individual style are developed in this fun class. Comfortable movement clothing and clean sneakers are recommended.